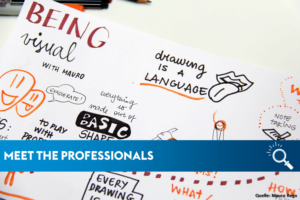 The BEING VISUAL is an 8 hour introductory workshop on basics of drawing. You will learn about composition, structures of drawing and apply it drawing people, objects, storyboard, icons and doing Visual Recording. Few theory and lots of supervised practice. The first module is focused on understanding the fundamentals of illustration. You will be instructed with easy frameworks that will enable you to scribble anything around you. After learning how to scribble, now it is time to translate ideas and concepts into simple visuals. Create a vocabulary and tricks to express anything. This module is focused on creating strategies to communicate in teams and facilitate dialogue. The final module is a deep dive on storytelling. How to create storyboards that can be used to convey more complex ideas. You will learn the principle of storyboard to pitch a project, service, product or idea and how to make it more powerful. The event will be held in English. The Speaker is Mauro Rego. Please note that the event is subject to charges.